shop is beautiful. Vintage inspiration meets classic style. Look out for the lovely displays. Boston Ivy - my favourite florist based in Durban North. Look out for them next year at the Karen Hatfield decor house. 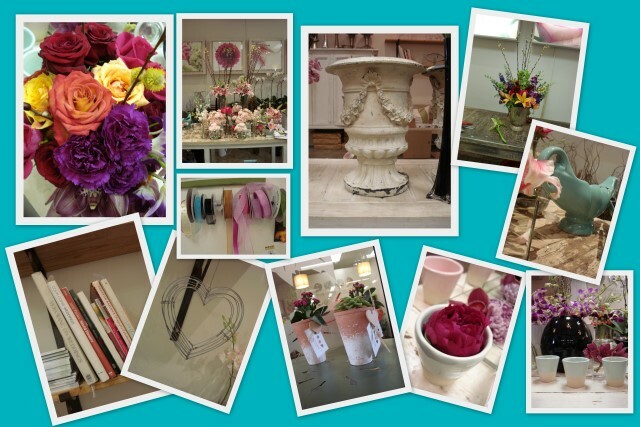 If you are looking for a touch of flower chic be sure to go and see the ladies. Click on my collage above to get a closer look. Every Saturday there is a food market at Gordon Road School. I met Annie of the Bread Winner today and just thought that her stall was too lovely not to capture. I love the name and think it puts a fun spin on the traditional concept of woman and their role (no pun intended). Greenglades in Westville is a venue of opportunity and have some cute gifts for every type. I especially love the Wart & Fish display.